In a world full of compact crossovers, the 2017 Nissan Rogue and Chevrolet Trax stand apart from the crowd with their rich passenger comfort and modern tech features. Which is the right model for all of your commuter needs and road trip adventures? Read our comparison guide to learn more. The Rogue's Zero Gravity front seats provide best-in-class comfort. They're designed to make you feel as if you were suspended in the weightlessness of outer space, and, unsurprisingly, they can't be beat as far as long-term comfort is concerned. Rear-seat passengers will coast around in comfort as well, with generous head and leg room all around. The Chevrolet Trax cabin is composed of premium materials, creating a luxury vibe without costing you the big bucks. Practical is another word that comes to mind - important controls are within easy reach and ergonomics are on point, making it easy for drivers of all sizes to get comfortable behind the wheel. However comfortable the seats are, though, they can't compare with the Rogue's excellent Zero Gravity seats. The Rogue's low-end torque gives you a good push off the line, getting you up to speed from a stop in no time at all. With the Rogue's continuously variable transmission, you'll blend power with modern fuel economy, earning up to 26 city/33 highway mpg. The Chevrolet Trax also earns impressive fuel economy, barely trailing the Rogue with up to 25/33 mpg. Both of these crossovers also offer all-wheel drive, effectively increasing traction on wet or icy pavement for enhanced safety in bad weather. The Trax can't help but impress with its high-tech options. Every model comes standard with a 4G LTE Wi-Fi hotspot, so passengers can surf the Web on up to seven devices, no matter where you roam. The MyLink central infotainment system also gets high marks for its intuitive menus and voice controls, which keep you connected without distracting you from the road. 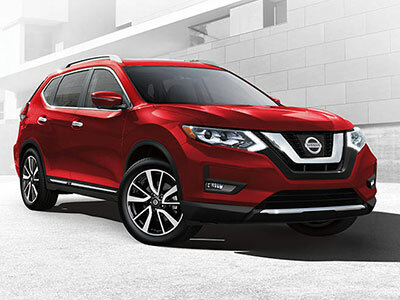 In the 2017 Nissan Rogue, you'll find the Nissan Connect infotainment system, which supplies smartphone integration features like Siri Eyes Free iPhone controls, so you can call home completely hands-free. A handy navigation system is also available, so you can find your way around new cities without fail. However, unlike the Trax, the Rogue has yet to offer Apple CarPlay and Android Auto technology. That means you'll be missing out on some cutting-edge smartphone integration features, like being able to access smartphone apps from the central touchscreen. The 2017 Nissan Rogue is our pick for safety, in part because the Insurance Institute for Highway Safety named it a 2017 Top Safety Pick+. It scored the IIHS's top score of "Good" in every crash test and even earned a rare "Superior" for its front crash prevention technology. This system detects an oncoming collision and actively applies the brakes in an effort to mitigate damages. You can also add the Nissan Connect emergency telematics system, with features like emergency collision notification to help you solve unexpected problems. 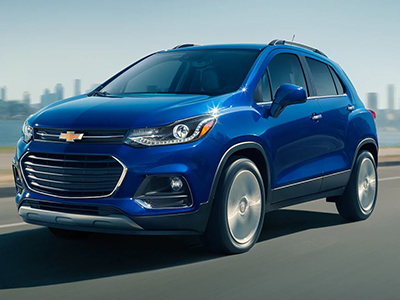 Every Chevrolet Trax comes standard with OnStar telematics, which includes on-demand roadside assistance and stolen vehicle tracking, effectively keeping you ready for just about anything. The Trax wasn't named an IIHS Top Safety Pick, but it did earn the top score of "Good" on all but one IIHS crash test. Like the Rogue, the Trax offers a range of high-tech driver aids, including blind-spot alert, to help keep you at the top of your driving game. Both of these crossovers impress with their tech features, but the 2017 Nissan Rogue is our pick for power, comfort, and safety. This crossover makes the perfect family hauler, appealing to adventurous clans with its all-wheel drive and road-trip friendly infotainment options. The Rogue's impressive crash-test scores will put your mind at ease, no matter how crowded the highway.